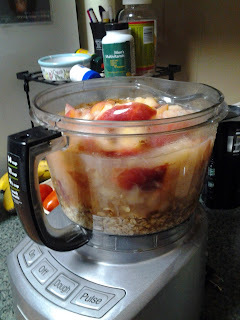 So I can thank Hurricane Sandy for the opportunity to try this new recipe. I'm a fan of my dehydrator as many of you know. I've made potpourri and tea with it. 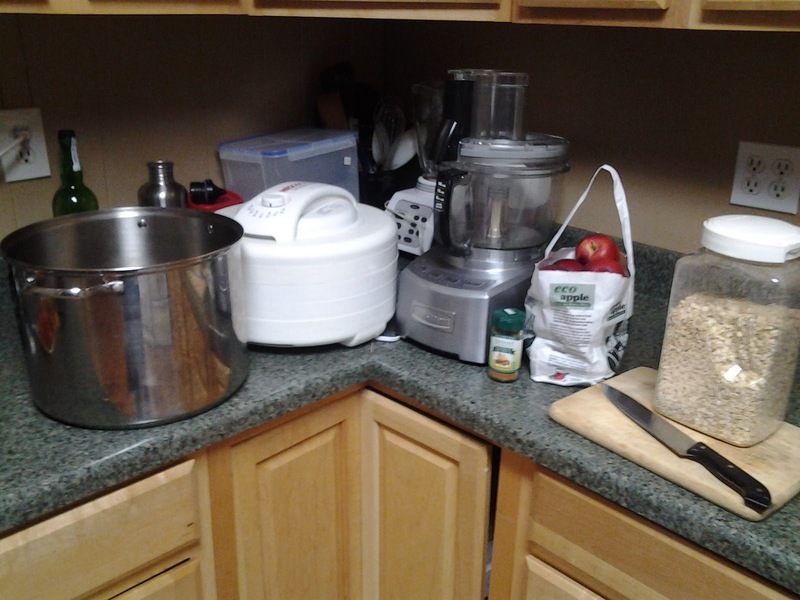 In September, I got into a conversation with someone who has been dehydrating for decades and he gave me some great tips that got me wondering what else I could do. One idea was apple leather. Fruit leather was what people made long before there was the classic (albeit unhealthy) child' snack, the Fruit Roll-Up. 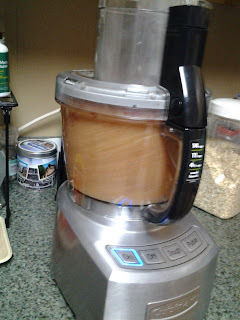 It's a dehyrdated fruit mixture that is chewy and sweet (and much more healthy). Thus with Sandy knocking out work for me for 2 days, one project I took to was making some apple leather and it came out pretty awesome. I instantly bragged about it on Facebook and had a few people request the recipe. So I figured I do one step better and capture it when I made it again. So here it is. Slice and decore the apples. Put sliced apples into large pot. Fill water to about 1 inch over the apples. 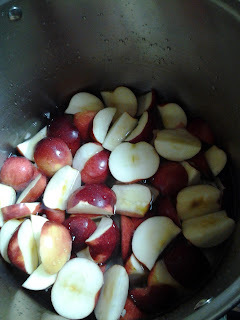 Boil apples until mushy (10-15 or so minutes). Pour apple mush into food processor. Run processor until it's all mixed well (about 1 minute or so). Let cool for a few minutes (the sauce thickens while cooling). 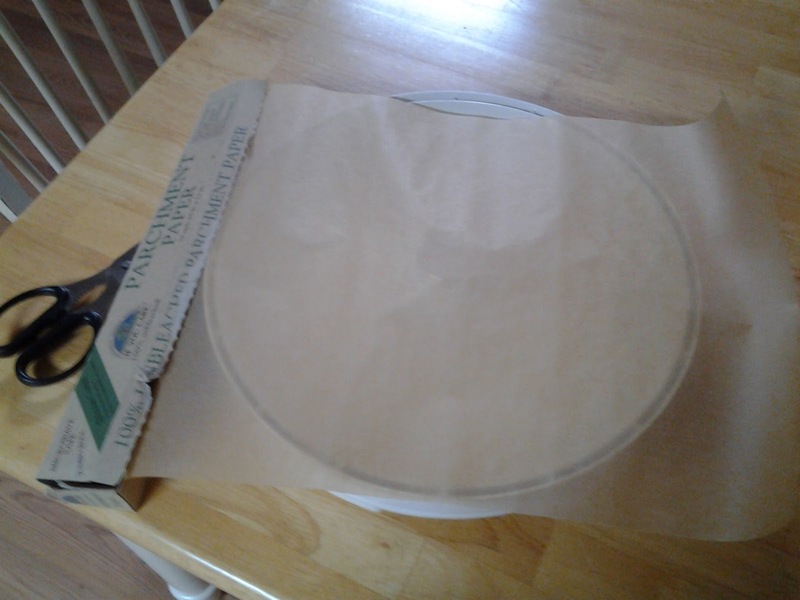 Line a dehydrator tray with parchment paper--1 layer preferably. 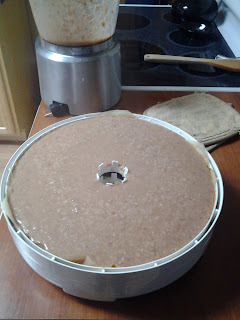 Pour the apple sauce onto the parchment paper, try not to get it to more than 1 inch thickness. Add additional trays (usually 1-2 more depending on how thin you make it). 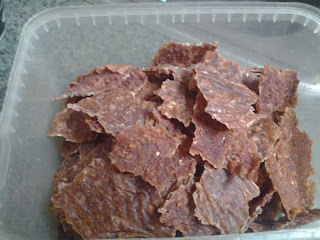 Put on cover and start dehydrator. I generally do the highest temperature (about 155 F) but there's no set rule. 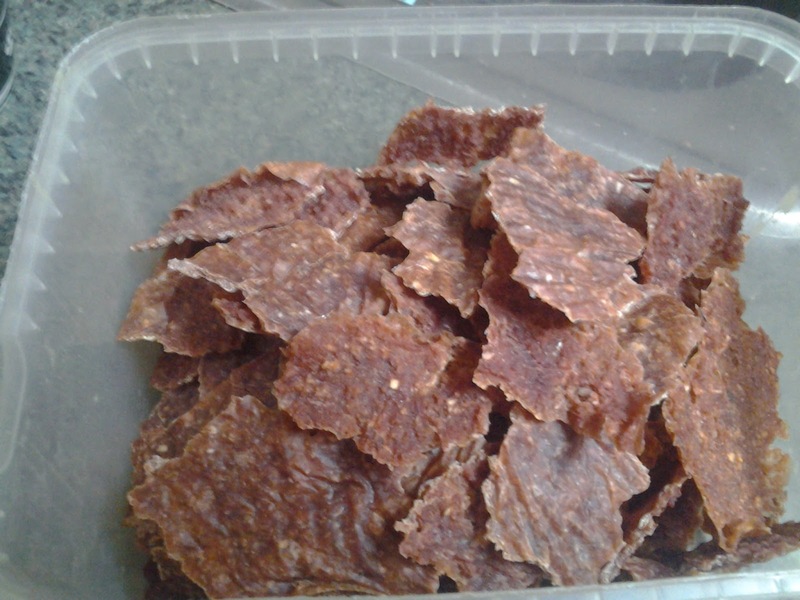 When dried through, turn off dehydrator. Peel off parchment paper (should be relatively easy). 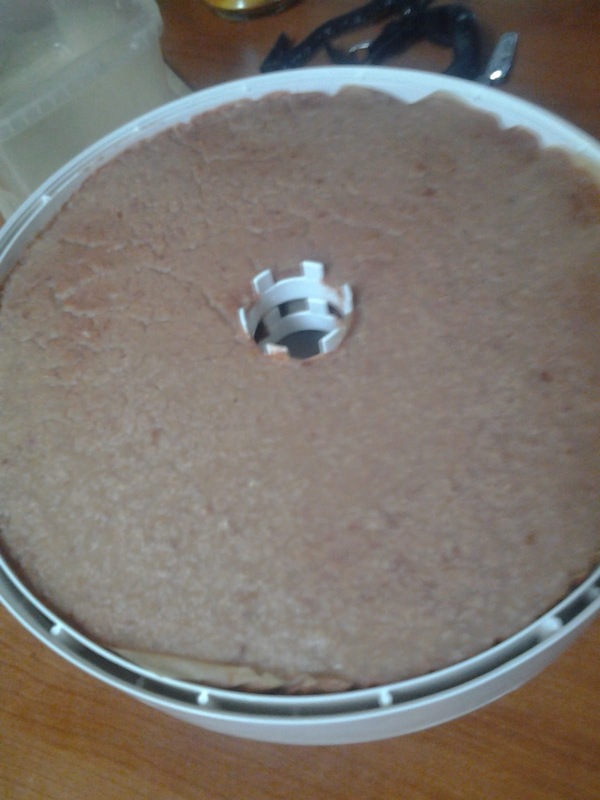 Tear or cut into smaller pieces and store in dry air-tight container. 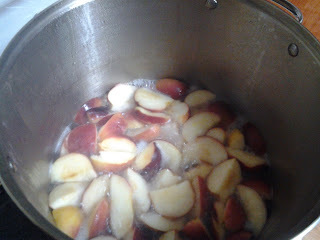 Fill water to 1" over the apples and boil away. 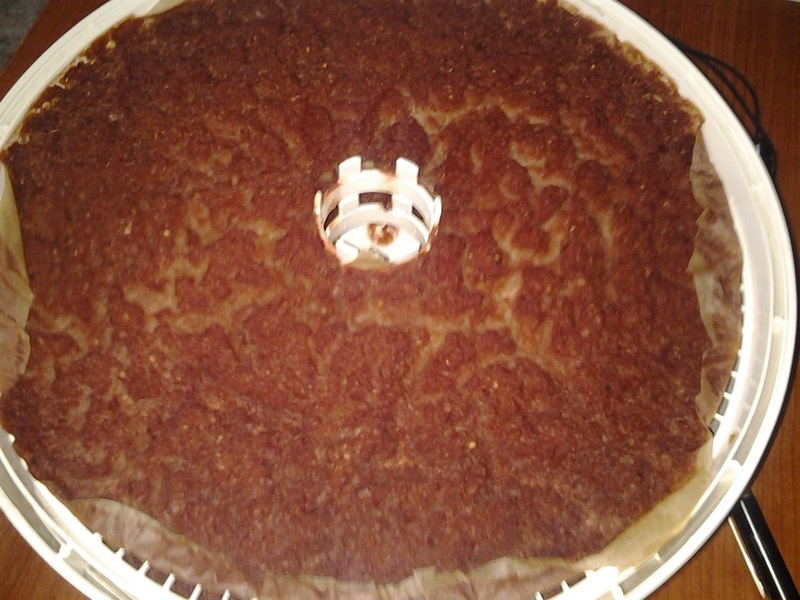 Cover the dehydrator tray with parchment paper. Pour the apple sauce onto the parchment paper. 20+ hours later; it should look like reddish and utterly dry. 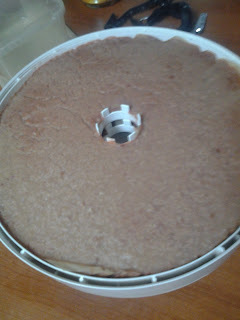 and store in an air-tight container. ENJOY!